So beautiful! 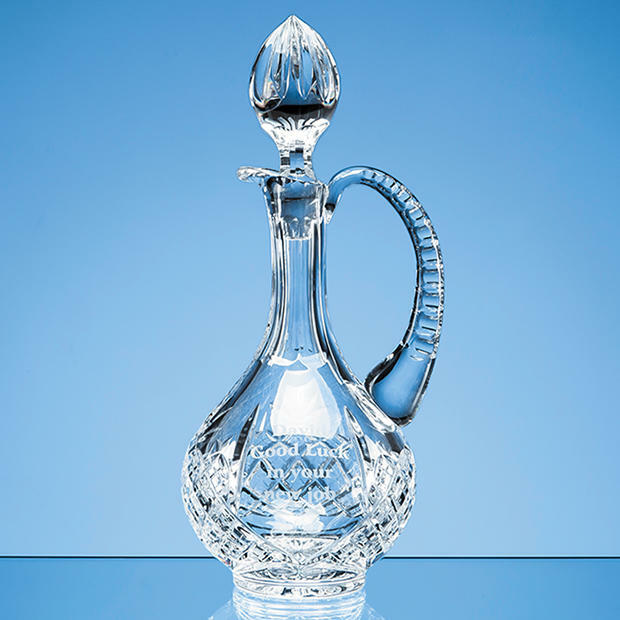 This breathtaking, 24% lead crystal traditionally cut claret jug with its neck and acorn stopper is perfect for an award, a prize or simply a wonderful gift. The jug has an ample engraviing panel and can be engraved with any badge, logo and text. Looks stunning when on display.